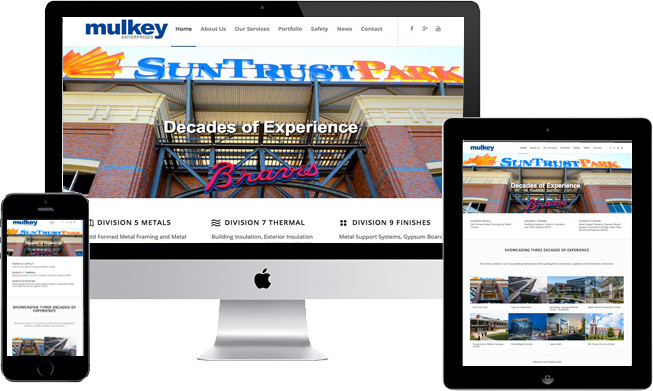 Launch of New Website – Mulkey Enterprises, Inc.
Major technological strides are being made in our industry today. At Mulkey, we strive to stay on the cutting edge of what is new and upcoming in our field. Not all changes are tools of our trade though. Some advances span across all industries. It had become apparent to us that our website was in dire need of a facelift. We wanted to offer our customers an optimal platform to view our work and stay in touch with our company through these new and innovative times. We are proud to debut the new Mulkey.us for all of our customers, colleagues, employees, and friends. Based in Marietta (GA), Mulkey Enterprises, Inc. is an innovator in commercial drywall, light gauge metal framing, acoustical ceilings, insulation systems, metal trusses, EIFS, stucco/plaster, and light weight cast stone applications.